Auckland Zoo has today welcomed male lions Malik and Zulu from Wellington Zoo to its Africa precinct, a home-coming of sorts following their births at the Zoo 14 years ago. In June, Auckland Zoo made the tough but kindest call to euthanase its remaining lions, elderly females Kura and Amira, the respective mothers of Malik and Zulu. Now Wellington Zoo, also home to female lions, is enabling the half-brothers to stay at Auckland Zoo for a period while it is without a pride. 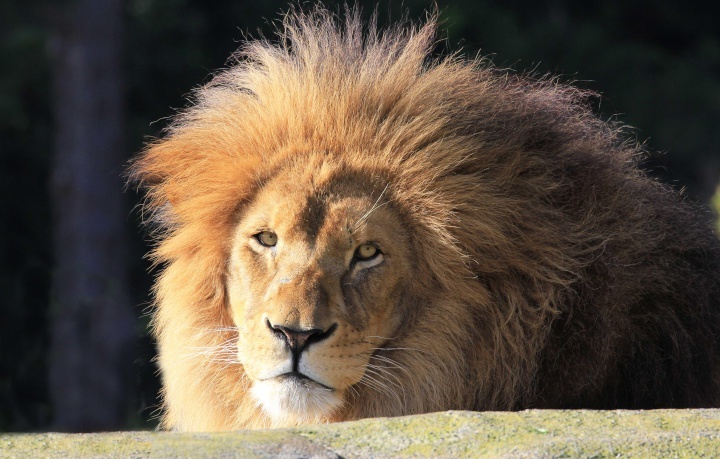 Wellington Zoo and Auckland Zoo work closely together on a range of projects and are both part of an international zoos’ breeding and advocacy programme for lions – a now ‘Vulnerable’ species whose numbers have reduced dramatically over the past decade. “We’re very excited to be working with our Wellington colleagues to once again make it possible for locals and visitors to Auckland to connect with, learn about and support these magnificent big cats. It’s so important to advocate for them, as many people don’t realise they’re doing it tough in the wild as people increasingly encroach into their environment,” says Auckland Zoo Carnivore team leader, Lauren Booth. “What’s very special for us keepers and our long-time visitors, is that we’re welcoming these two particular lions. Being the sons of Kura and Amira, it’s going to be lovely to have that connection with them. We’re really looking forward to seeing if there are any similarities between the boys and their mothers, and with the help of Wellington Carnivore Keeper Anders Muller getting to know them and settling them in to their new ‘old’ surroundings where they spent the first eight months of their lives,” says Lauren. “Malik and Zulu are very charismatic lions and will be missed at Wellington Zoo, but we are thrilled that the Auckland community will be able to connect with the males and learn more about this incredible species,” says Jo Richardson, Animal Care Manager at Wellington Zoo. Malik and Zulu’s journey to Auckland Zoo included a drive from Wellington Zoo to Palmerston North’s airport, then flown to Auckland on a New Zealand Post cargo plane and driven to the Zoo. Sometime within the next two years, as part of the zoos’ international breeding programme for these ‘Vulnerable’ (IUCN Red List of Threatened Species) big cats, Auckland Zoo will welcome young female lions (and later young males) to once again breed lions. In the meantime, Auckland Zoo visitors can look forward to seeing Malik and Zulu in the Africa precinct’s lion exhibit where from some great vantage points, these big cats can view visitors and other African wildlife including, rhino, nyala, zebra, giraffe, ostrich, guinea fowl and flamingo. If you are planning to visit the Zoo soon, please be aware that Malik and Zulu are at the moment still just resting after their big journey north and settling in to their new home, so may not be visible. Be sure to check the Zoo’s social media channels for updates. •	The IUCN Red List of Threatened Species classifies African lions as ‘Vulnerable’. Over the past 21 years, the African lion population has decreased by 43% and continues to decrease. Once widespread across the African continent, it is now extinct in North Africa. •	Male lions Zulu (the offspring of Amira) and Malik (the offspring of Kura) were born at Auckland Zoo in March and April 2004 respectively. Sharing the same father, Lazarus, they are half-brothers. Zulu and Malik relocated to Wellington Zoo in December 2004. Maybe all the lions and other felines will have to go to Auckland when kiwi begin roaming in our backyards? @TrevorH, Lions are too big too be defined as a ‘pest’ by Justin and Ms Sage. And humans pay money to see them (so they earn their keep so to speak). It’s only the little furry or spiky mammals (hedgehogs) that the Victorians brought here that are now to be exterminated. Thanks Bob for the clarification. Maybe the lions might regard Justin and Ms Sage as ‘pests’? Perhaps the zoo should be closed down and only ‘indigenous’ animals allowed?